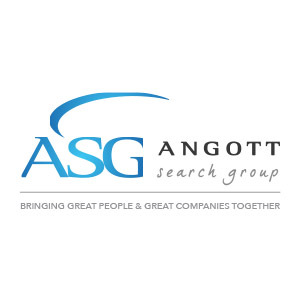 Angott Search Group has partnered with a regional banking client in their search for a Director of Treasury Management. This person serves in a leadership role managing a team of highly skilled Treasury professionals that provide customer service to our commercial clients, while also building internal relationships with business-line leads. Responsible for developing and managing a Treasury Management business plan that ensures the bank remains competitive and up-to-date on solutions that benefit the commercial clients. Responsible for developing sales reports that provide details regarding staff and department performance compared to goals and budget. Responsible for the sales development of the Treasury Management team by working with direct reports and other business line leads to develop appropriate calling plans and cross-selling strategies for both customers and prospective customers. Responsible for the direct coaching of the Treasury Management salesforce through joint-calling and direct feedback relating to their sales and customer service skills. Responsible for developing a strong working relationship with the Treasury Solutions department to ensure a frictionless customer experience from the beginning of the sales process through the transition to daily operational customer support. Responsible for providing leadership to the Treasury Management team by utilizing a coaching and development approach. Bachelor’s degree in Finance or Business Administration or the equivalent of 10+ plus years in management in the financial services industry. Experience with overall bank management necessary. CTP designation or ability to achieve this designation.